I finally cracked the code. After all these years of riding I learned what my biggest problem has been. Thanks to my coaches from Team in Training, I've learned that I generally start out too fast, bonk, and suffer through cramps the rest of the ride. For the first time, I've been able to tackle a really hard ride without any leg cramps. 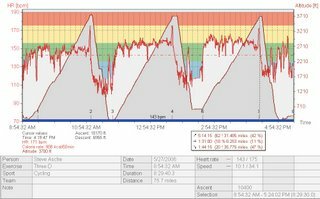 I kept my heart rate at a reasonable level and took Endurolytes. So far, it seems to work. Saturday, I rode 75 miles with over 10,000 feet of climbing. 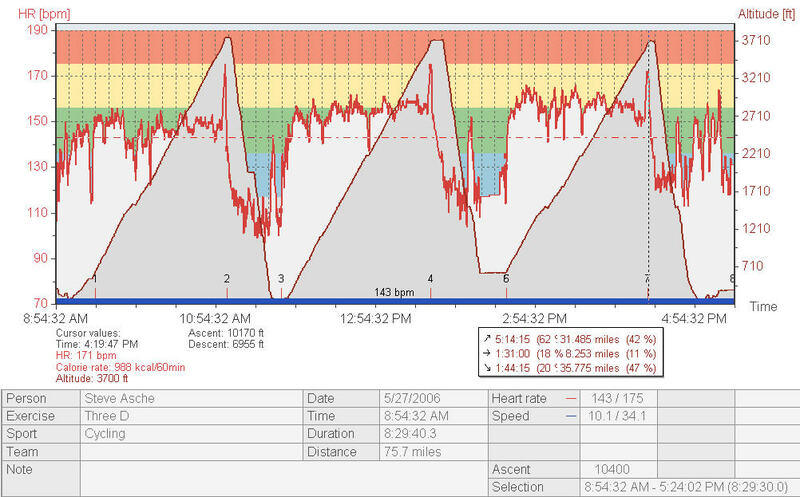 For a picture of pain, look at my heart rate chart from climbing Mt. Diablo three times in one day. (Known as a 3-D). No kamikaze squirrels this time - just a curious coyote.